Image caption Are you being charged just for walking through Paddington and Waterloo? I receive lots of complaints from commuters who end up with overcharges on their Oyster cards. Some are due to faulty readers, some are problems with the auto-complete feature Transport for London (TfL) can turn on at busy stations like Covent Garden, or sometime it's plain old user error. Most of the time the call centre will try and sort the overcharge out - although a complainant has to know about the problem to address it. But I've been told about another glitch over 'rogue' charges which occur when walking through a station. One place in particular it seems to happening is Paddington. A colleague was following the signs for the Hammersmith and City Line and went through the Praed Street entrance. The signs then take you back out into Paddington station and out through some gates. It is a journey of a few hundred metres. Inside the station, the signs for the Hammersmith and City Line then disappear. When he checked his Oyster card he was charged £4.60 for the privilege of the walk. He challenged the supervisor who admitted it was a glitch in the system and they'd had lots of complaints about it. Eventually he got his money back. The other place I've heard this happening is at Waterloo. Some routes for walking through the station incur an extra rogue Oyster charge. So far commuters tell me there is the same problem between Bank Central Line to Waterloo & City Line. I'm told that incurs a charge of Oyster PAYG. I've also received a few complaints about the new bridge at Blackfriars built as part of the Thameslink redevelopment. 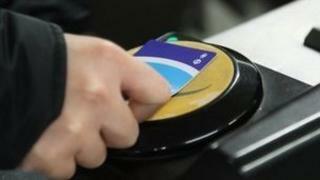 Their commuters are also getting charged for using it on their Oyster cards. It's certainly not a one-off and the transport authorities need to address it unless it's policy? TfL's Shashi Verma said: "Our aim is for our customers to pay the right fare every time. We have taken immediate steps to confirm that our systems at Paddington station are deducting the right fares. "Paddington is a large station with four separate gatelines that give customers access from multiple points on the street and from national rail services. Customers using interchange stations with multiple gates need to follow the clearly marked directions to each platform to ensure they are charged for their correct journey. " Do you know of other places where rogue charges happen?